In light of the current trial of Anders Breivik, I thought it a good idea to share this story again. Why is it that while the stories of other heroes made it into the press around the world, this couple was ignored? By this point, most of you have heard about the tragedy in Norway a few weeks ago when a Christian Fundamentalist* murdered 77** people and injured another 96. The story has been well-covered by International media and the mainstream press here in the US. What you probably have not heard about is the married lesbian couple who rescued 40 teenagers during and after the bloody event. Several blogs and gay and lesbian publications are now picking up the story, but the heavy hitters who usually kill for hero stories like this, have remained silent. Hege Dalen and her spouse, Toril Hansen were near Utöyan having dinner on the opposite shore across from the ill-fated campsite, when they began to hear gunfire and screaming on the island. While no person’s oppression is greater or lesser than another’s, a day like today cannot go by without acknowledging the estimated 15,000 gay men who were murdered in Nazi concentration camps. Following the war, those who escaped the horrible fates of the concentration camps found that they could then be re-improsoned for being gay. Under Paragraph 175, the anti-gay law in Germany which criminalized homosexuality, gay men could spend up to ten years in prison. From 1950-1994, when the law was finally abolished, 100,000 gay men were convicted under the law. Memorials set up and reparations paid to survivors of the Holocaust did not include gay people. It was not until 2002, nearly 60 years after WWII that the German government officially apologized to the gay community. In 1984, the first memorial to gay Holocaust victims was built and there are now more than 25 around the world from Australia to Anchorage, Alaska. Rudolf Brazda, believed to be the last surviving person who was sent to a Nazi concentration camp because of his homosexuality, died in France in August, 2011, aged 98. 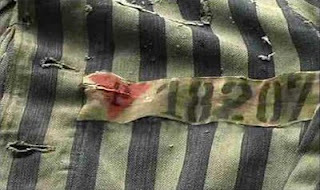 The Men With The Pink Triangle is a gripping account of one prisoner’s experience in the camps written by Hans Heger. As we remember those lost in one of our history’s most violent and gruesome chapters, please take the time to remember everyone. Rachel Maddow, Come To Our Wedding! 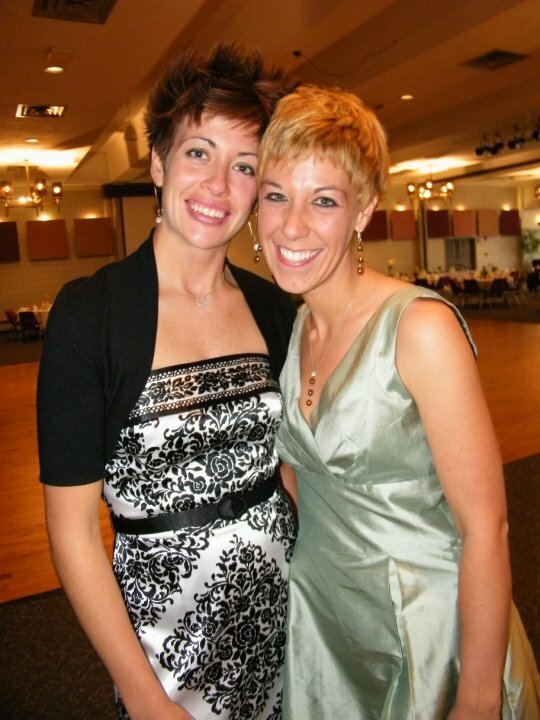 My friend Lanae, who plays violin with the Capital City Symphony and is one of the coolest LGBT activists I know, is getting married on April 28th. 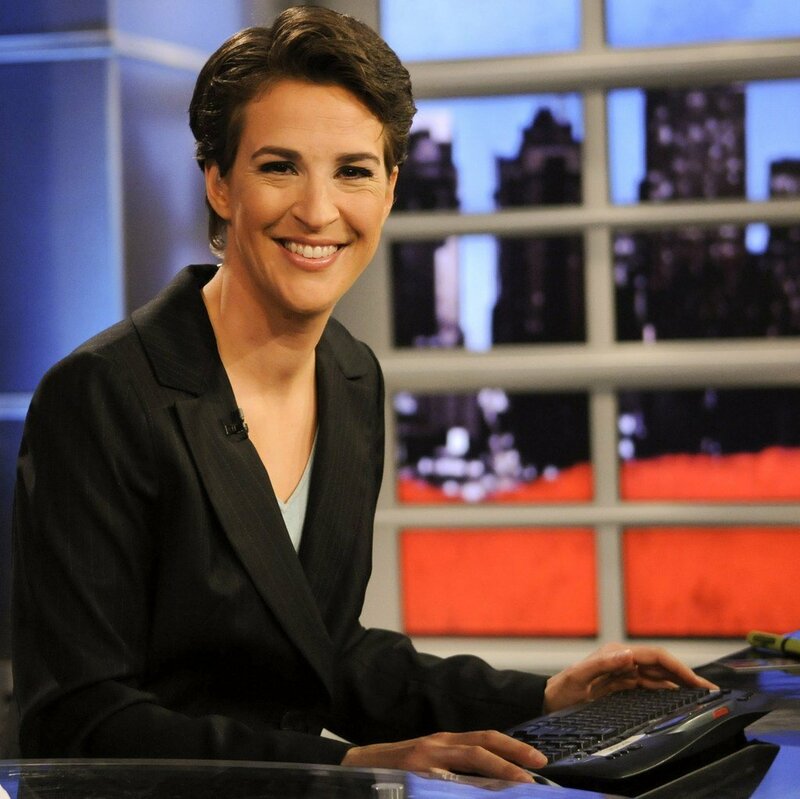 Little did she know when she and her fiancée Laura were planning her wedding, that the one and only Rachel Maddow would be visiting DC at the time. Their friends are now angry with them because like any good lesbian, they are fans of Ms. Maddow…and will now have to miss her DC appearance. 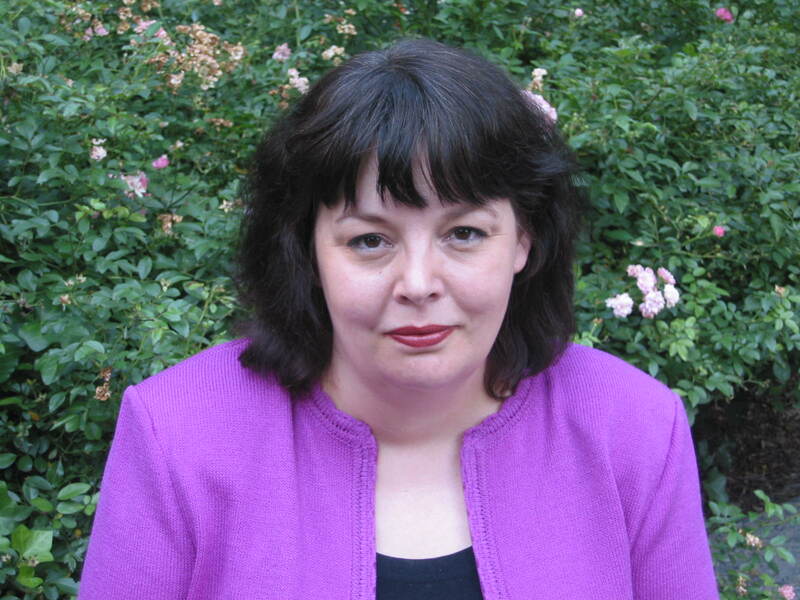 Rachel is currently on a book tour, promoting Drift: The Unmooring of American Military Power. As a huge non-lesbian fan of Rachel Maddow myself, this book explores much of what she frequently reports on and is clearly fascinated by – America’s use of military might. If you’ve watched her show on MSNBC, you’ve probably caught one of her many fascinating stories about F-22 fighter jets, weapons of mass destruction or highly enriched uranium. And while never advocating the use of these things, her near-obsession with weapons and the history behind them is always evident. While I’m personally still waiting and hoping for a personalized, autographed copy of her book, and her DC book-signing is sold-out, I’m thinking there’s another way to meet her. Lanae and Laura have put together a special little invitation for Rachel. And while I’m not technically “invited” to the wedding, I will more than likely be crashing if Rachel Maddow decides to go. I asked Lanae, what they would do if Rachel actually showed up. At first they thought of having her sign their ketubah (which is kind of a Jewish pre-nup that gets signed by friends and family at the wedding), but they decided that would be a bridge too far. So they’d be really happy with a signed program and a Maddow signature cocktail. So, how about it Rachel? Categories gay marriage, Lanae Erickson, Laura Hatalsky, Lesbian, LGBT, MSNBC, Rachel Maddow, Uncategorized, Washington, Washington D.C.
On this day in 1895, Oscar Wilde was arrested after losing libel case against the Marquess of Queensberry. Wilde was in a long-term relationship with the son of the Marquess for nearly four years. This made the Marquess none too happy and she outed him as a homosexual. Since homosexuality was illegal at the time, Wilde sued the Marquess for libel. Since there was much evidence supporting the Marquess’ accusations, Wilde was found guilty and sentenced to two years of hard labor. At this point, Wilde was already a well-known writer, having written brilliant and popular plays including The Importance of Being Ernest and his only novel The Picture of Dorian Gray. Additionally, Wilde was known among society for his flamboyant style and wit. Following his release, Wilde fled to Paris where he wrote The Ballad of Reading Gaol about his experiences in prison. 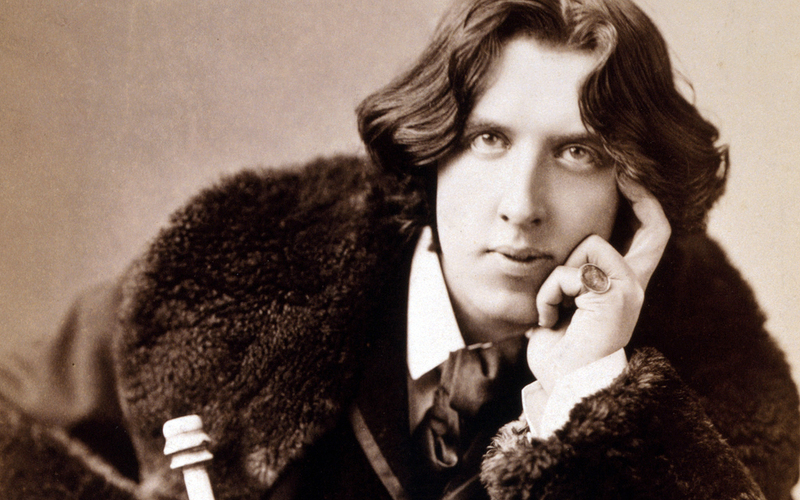 In honor of Oscar Wilde, here are some of his most memorable quotes. In case you haven’t heard or are living under a rock, a couple weeks ago the National Organization for Marriage found themselves in hot water following the release of some internal documents. The NOM papers, which had been released as part of a court agreement in Maine revealed some rather atrocious plans to divide the LGBT, African American and Latino communities. I don’t need to rehash the story here, but if you haven’t read about it, you can check it out here, here and in the New York Times. “Immigration is an easy scapegoat for our own cultural meltdown, our failure to maintain and transmit to our children a unified and vigorous vision of American history, institutions and heritage. Our system of government is under assault and our way of life threatened by ignorance, crime and social disorder. But grind immigration to a total halt, and you’ve done nothing about this real cancer eating away at the heart of American civilization. Me…dumbfounded. Did Maggie just write something I agree with and goes utterly against her own party’s platform? Did she really just use our own pro-immigration argument to say that our country’s history and very founding depended on immigration? Wait…no. She didn’t “just” say it. She said it in 1995. Upon further Googling, I find Maggie’s column from 10 years later, after George W. Bush, (her former employer) made immigration a “thing.” Maggie has clearly changed her tune and taken on the mantle of a racist, “illegals” hater. “For me, personally, illegal Mexican immigration means that when a foot of snow falls, two nice guys show up and offer to shovel the driveway for $25. Happily though, Maggie’s opinions and her organization’s racist tactics don’t seem to be making much of a difference. According to a poll released yesterday from Pew Hispanic Center, Latinos support LGBT equality by a number of 59% to 30% who oppose it. Another takeaway from the study is that 3 out of 10 Latinos consider themselves “liberal,” compared to just 21% of the general population. LGBT equality should not be a Republican or Democratic issue as all people should share in the equality offered by our Constitution. Immigration is similar in that our country is a country made up entirely of immigrants. Outside of indigenous peoples, we all came from another country…not so long ago in the grand scheme of things. It is utterly hypocritical of Americans to be anti-immigration.